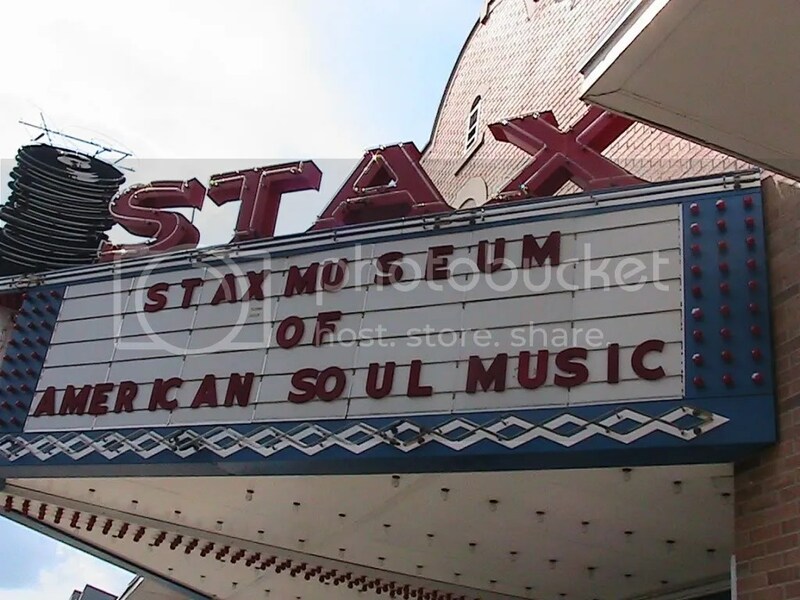 Stax Records is one of the most popular soul music record labels of all time – second only to Motown in sales and influence, but first in gritty, raw, stripped-down soul music. In 15 years, Stax placed more than 167 hit songs in the Top 100 on the pop charts, and a staggering 243 hits in the Top 100 R&B charts. On a recent flight while listening to a collection of Stax recordings on the airlines in-flight entertainment system, I discovered one of the lesser known artists, Annette Thomas, the daughter of the famous Gospel singer, Brother Joe May. She began performing with her father at the age of five and regularly shared the stage with the Rev. C.L. Franklin and his daughter Aretha. Annette continued as a Gospel singer until the 1970s when she decided to give secular music a try. She did background work for comedian Jerry Lewis and singer Robert Goulet. Jerry Lewis’ musical director became Annette’s manager and arranged a contract for her with Stax Records. The song that I heard while in flight was written by Frederick Knight who was a “one-hit wonder” with his single, “I’ve Been Lonely For So Long.” in 1972. The song was on the chart for 10 weeks and reached number 22. Knight wrote the song “You Need a Friend Like Mine” and thought it would be ideal for the Staples Singers. Instead it was given to Annette Thomas in 1975. After her song didn’t sell Annette decided to change her career. She became the manager for the Rev. James Cleveland, the King of Gospel Music. Annette’s rendition of You Need a Friend like Mine begins with a jazzy snippet of the Hallelujah Chorus in the background. You can read the lyrics below but to get the full impact, you can hear her sing it at http://www.jango.com/music/Annette+Thomas or https://youtu.be/LS3niwkGKk0. You need a friend like mine. You need a friend like mine. Why don’t you call Him? When you get up every day and you feel a wreck, just put your feet on the floor and He’ll do the rest. And when your heart begins to bleed I know a Man who supplies your every need. The friend that Annette sings about is Jesus who told his disciples they were his friends and He was willing to lay down his life for them. (John 15:12-15). Jesus is my friend and that friend relationship is available to everyone. You need a friend like mine. Why don’t you call on Him? – the Atlanta Braves baseball team (but I am not happy with the front office for recent rules violations). Kenny Rogers is best known as a singer-songwriter who had more than 120 hit singles and was top of the country and pop charts for more than 200 weeks in the United States alone. Two of the 79 year-old retiree’s albums have been voted as one of “The 200 Most Influential Country Albums Ever”. He was voted the “Favorite Singer of All-Time” in a 1986 joint poll by readers of both USA Today and People. In 1983 Rogers purchased the Smithsonia Farm near Athens, Georgia and developed the 1,000 acres into a lavish estate he named Beaver Dam Farms. The property includes a 12,000-square-foot mansion, five guesthouses, two clubhouses, an equestrian arena with 44 stalls, two swimming pools, and an 18-hole golf course where Rogers and pals used to play charity tournaments. The singer sold it in 2003 to a Las Vegas real estate investor who died in 2011. The property was for sale by the investor’s for five years. 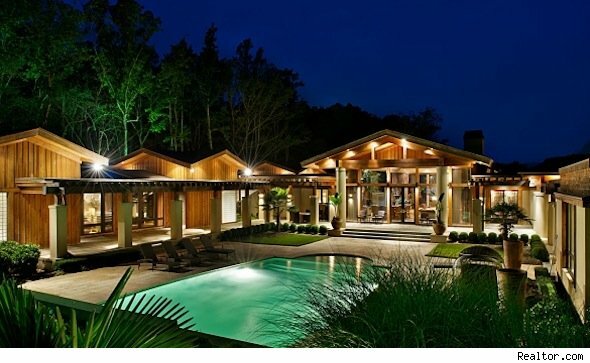 It listed in 2011 for $20 million and decreased in price several times over the years. It was purchased in July 2016 for $3.5 million just prior to public auction and six months later was put up for auction with a starting bid of $3.9 million. 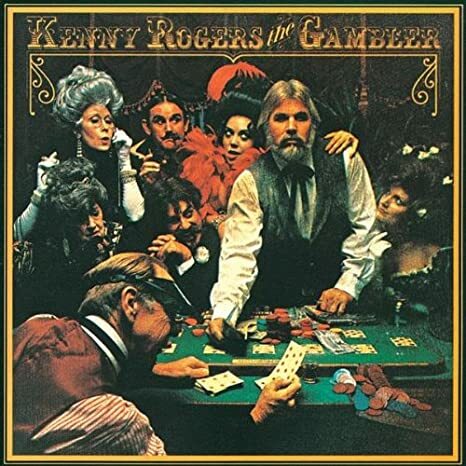 In 1979 Roger’s best-selling album was released including the title song, The Gambler (You gotta know when to hold ‘em. 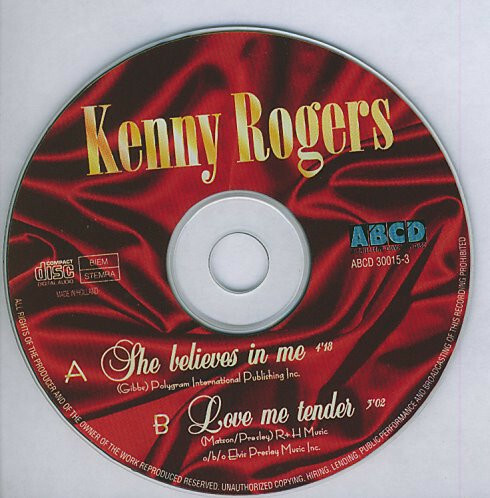 Know when to fold ‘em).” The second single from that album “She Believes in Me” was a song written and first recorded by someone else. The singer-songwriter expresses clearly the naivete of an individual thinking that he/she could change the world and then the self-doubt that shows up. However, it is not left there. The realization that someone believes in you can provide the spark needed to continue trying to make a difference. Knowing that someone has confidence in you can be the inspiration to counter any thought of giving up. Three days after Jesus was crucified and buried his followers were scared for their lives and had gathered behind locked doors. Later that day the resurrected Jesus came to them and assured them that he still had confidence in them. They had deserted Him at His most critical hour and one of them had even denied knowing Him. Nevertheless, Jesus had so much faith in them that He said, “In the same way my Father sent me, I am sending you to be my representatives in the world” (John 20:21). At their point of greatest failure, Jesus left the future of His cause of world redemption in the hands of those who had let him down. He believed in them. And He empowered them by the Holy Spirit for the task (John 20:22). There is much said about the need to believe in God but I think it is also important to know that God believes in us. The task to live as God intended is not easy. When we face the cruel realities and temptations of the world it is easy to think that it is impossible. That we are so flawed as evidenced by our many mistakes and failures to be of value to the Cause of Christ. But He believes in you (and me) and so we go on faithfully doing what we can with what we have in the Name of Jesus. If you have ever visited the Alps in Europe, I do not have to tell you that they are spectacularly beautiful. You have been overwhelmed by the majestic heights of the mountains and the lush valleys. A couple of weeks ago I spent a few days in the Austrian Alps and was awed by the splendor of God’s creation. Innsbruck, with a population of 130,000, is the capital city of Tyrol in western Austria. This internationally renowned winter sports center hosted the 1964 and 1976 Winter Olympics. The Bergisel Ski Jump Stadium in Innsbruck has been used in the two Olympic Winter Games and is the venue of countless international competitions attracting spectators from all over the world. The main tower of the ski jump accommodates a restaurant, viewing terrace and the ski jump starting ramp and offers a breathtaking view of Innsbruck. A couple of days after watching the skiers and the paragliders, I visited Salzburg, the fourth largest city in Austria. This UNESCO World Heritage Site has one of the best preserved city centers in the region and is renowned for the baroque architecture of the “Old Town.” Overlooking the city is a magnificent Hohensalzburg Castle. Construction of the fortress began in 1077 and it has been expanded several times over the centuries. Salzburg was the birthplace of 18th-century composer Wolfgang Amadeus Mozart. I stood in front of his home, visited several of the 35 churches, and strolled along the banks of the Salzach River. In the mid‑20th century, the city was the setting for the musical play and film The Sound of Music and these sites attract many tourists. There are a dozen bridges across the Salzach River in Salzburg but perhaps the most interesting one is a pedestrian bridge that was re-built in 2001. Hundreds of lovers have announced their romance to the world by securing a “Love Lock” with their names engraved on it to the Makartsteg Bridge. After watching skiers and paragliders engaged in “dangerous” activities, it was in the beautiful and tranquil (safe) setting of Salzburg that I had a fall and injured my shoulder. I stepped over a two-foot wall to get one more picture of the Makartsteg Bridge. My feet slipped on wet grassy slope and down I went. Lessons learned: Lesson #1- Almost anything is “safe” if you exercise common sense and have the proper training and equipment (i.e. skiing, paragliding). Lesson #2- Anything can be “dangerous” if you ignore the rules and fail to use common sense (Could it be that walls/barriers are there for a reason?). In the same manner, in the Bible God has given instructions of how to live. When we ignore or violate Divine guidance, the result will be injury to the soul.